1 whole Tilapia, cleaned and descaled. 1. Rinse the fish inside out under cold running water and drain them. Pat dry with paper towels. Using a sharp knife, cut 3 slits in each side of the fish. 2. Pour the lime juice all over the fish, just to minimize the smell of fish. 3. Combine all the paste ingredients in a blender and process to a smooth paste. 4. 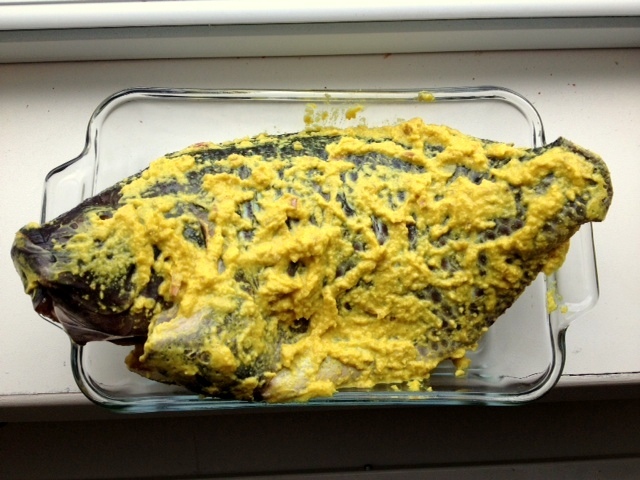 Spoon an amount of the paste into the fish cavities (on belly) and fill the side slits as well. Try to slab the rest of the paste all over the fish. 5. Let the fish marinate. 6. Heat the deep-frying machine or simply heat oil on a wok. 7. Fry the fish for about 12-15 minutes or until it turns golden. 8. 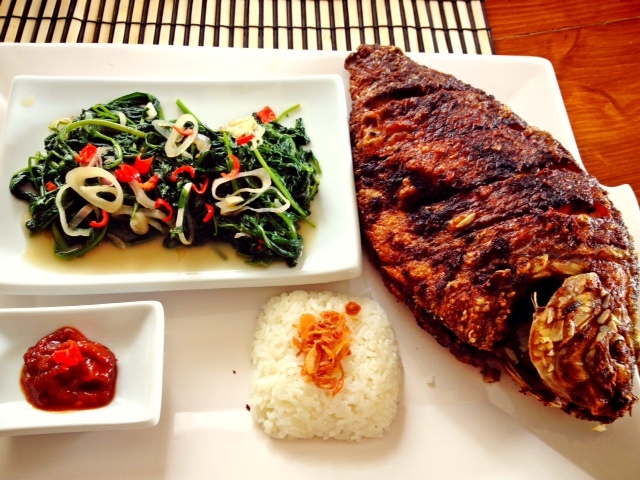 Once your fish is ready, serve it with rice. In my case, I had a bit of Sambal Oelek as condiment and simple sautée water spinach a.k.a kangkung blachan (you can find the recipe on the next page).